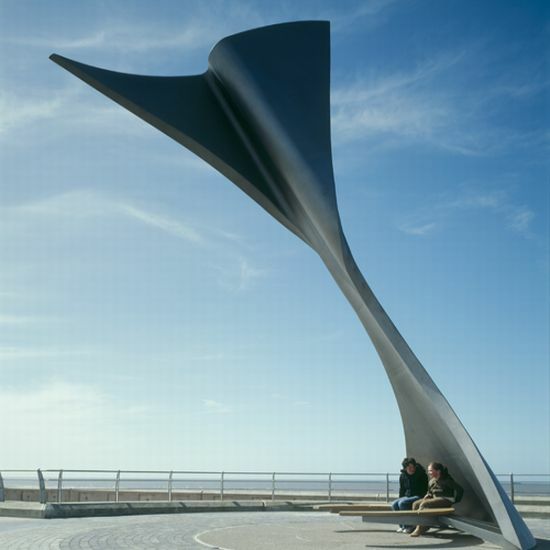 Located at Blackpool’s newly regenerated South Shore Promenade, the “Rotating Shelter” by Ian McChesney is an 8-meter-tall wind vane that will counter the strong sea winds and shelter the inhabitants sitting at the base. The shelter is finished with resilient “Duplex” stainless steel and stands tall at eight meters. 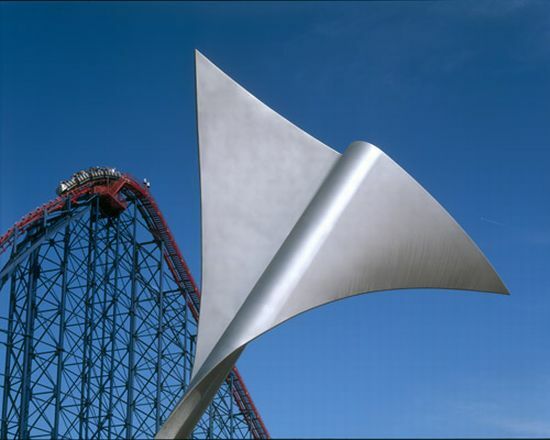 Sitting on a turntable (4-meter diameter) with a built-in damper to control the speed of rotation, the shelter is designed to rotate according to the prevailing wind direction. 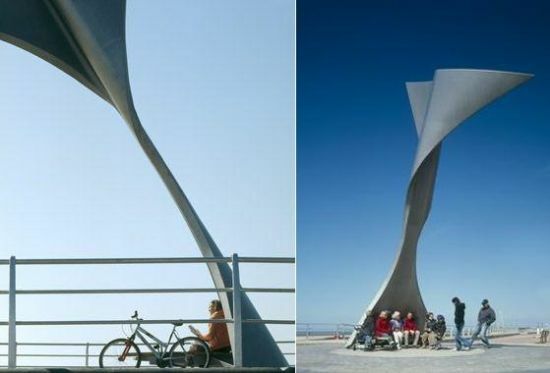 The radical shelter works around two key elements – the vane, which rotates the structure – and a baffle that protects the occupants from the furious sea wind. 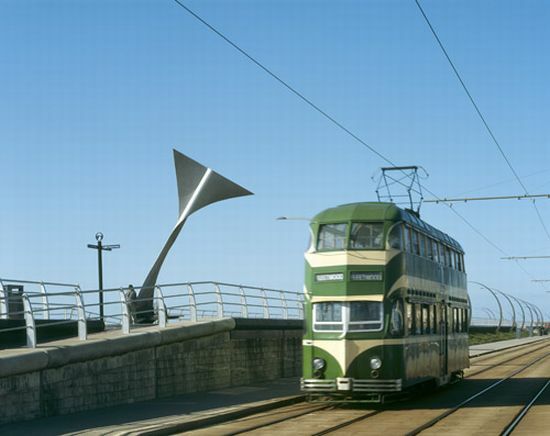 The shelter is not just functional in use, but also boasts an artistic design, which bestowed it with the prestigious Civic Trust Award.